s's parents are visiting from yorkshire. 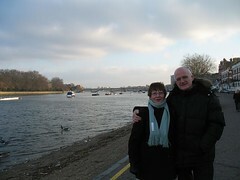 we took them to putney bridge for a shorter-than-planned walk by the thames this afternoon. 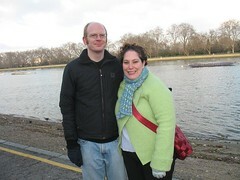 with the weather hovering just above 0ºC, even the hardy northerners were cold!